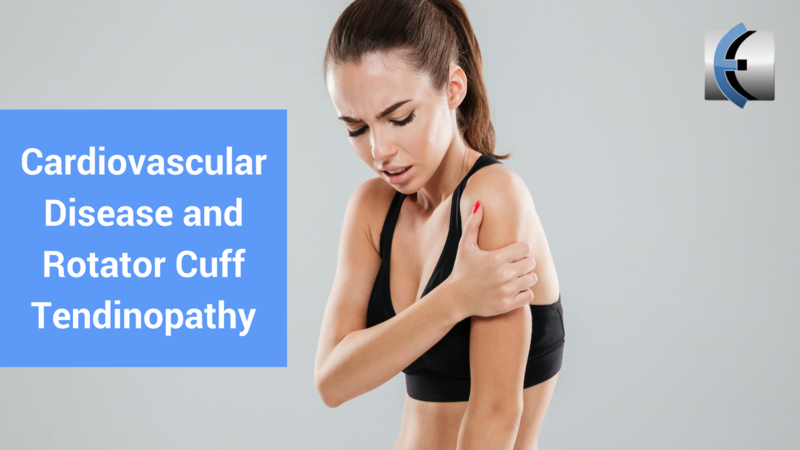 The pathophysiology of rotator cuff tendinopathy is somewhat unclear. There are two main competing theories. A biomechanical theory advanced by Neer stated that tendinopathy was based on the impact of age-related degenerative processes and impingement of the tendon. The other competing theory is based on reduced vascular supply to the rotator cuff tendons and includes the rubric of vascular compromise by atherosclerotic-related disease processes. workers were recruited from 17 diverse production facilities of 15 employers, including food processing, manufacturing, assembly lines, and office jobs from 2001 through 2007. Participants were enrolled from worksites as convenience samples based on a pre-calculated sample size that targeted workers based on the physical demands of the job: one-third from low, one-third from medium, and one-third from highly physically demanding jobs. A CVD risk score was calculated for every participant on the basis of gender, age, history of high cholesterol (>200 mg/dL), BP (previous diagnosis of HTN and current systolic BP reading), a diagnosis of DM, and a history of smoking or tobacco use. Take-away message: As we grow in our position as primary care musculoskeletal health care providers, we may need to play a larger role in our patients’ general health. As this and other research has shown, MSK conditions may serve as windows into helping identify more serious health problems such as cardiovascular-related disease, as illustrated here. As physical therapists, we often serve as “connectors” due to our relationships with many health care providers, so we can serve our patients well by being able to refer them to the proper provider for further diagnostic workup. What do you think? Discuss here!